Comparing gene orders in completely sequenced genomes is a standard approach to locate clusters of functionally associated genes. Often, gene orders are modeled as permutations. Given k permutations of n elements, a k-tuple of intervals of these permutations consisting of the same set of elements is called a common interval. We consider several problems related to common intervals in multiple genomes. 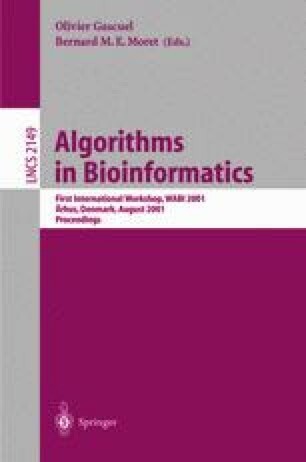 We present an algorithm that finds all common intervals in a family of genomes, each of which might consist of several chromosomes. We present another algorithm that finds all common intervals in a family of circular permutations. A third algorithm finds all common intervals in signed permutations. We also investigate how to combine these approaches. All algorithms have optimal worst-case time complexity and use linear space.